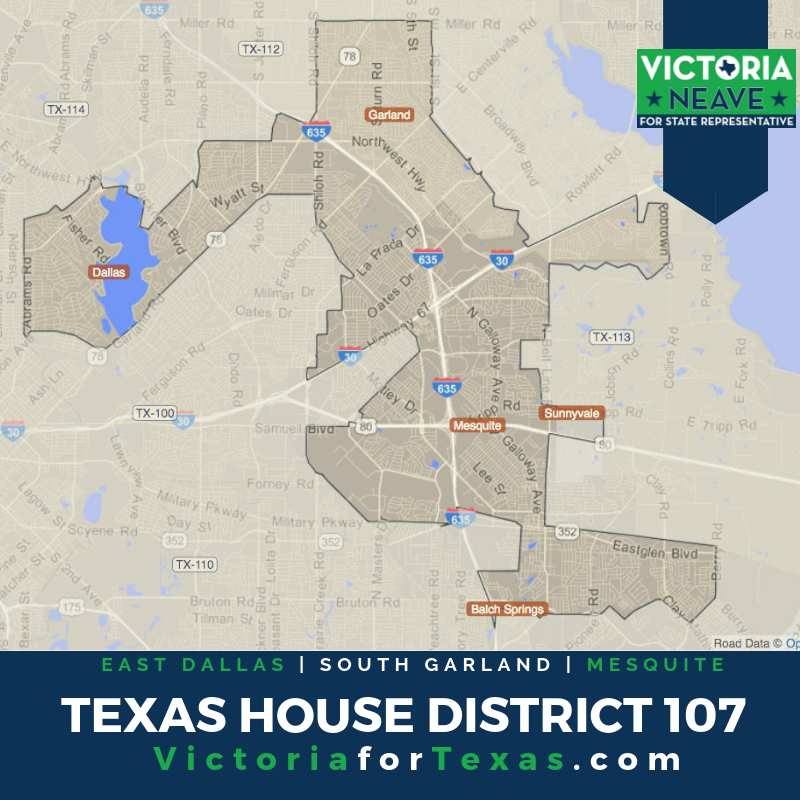 Do you live in or have a business in House District 107 in parts of East Dallas, Garland, and Mesquite, Texas? Check out the map below and sign up for a yard sign at bit.ly/yardsign107 and we’ll have one delivered to your home or office. Alternatively, please swing by Victoria for Texas Campaign Headquarters to pick one up during office hours at 1934 Pendleton Dr., Garland, TX 75041. We’re in the back warehouse at the Ben Abbott Law Firm. Thank you for your support! 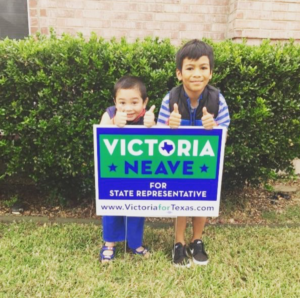 To help us distribute yard signs throughout the district, please send us an email to info@VictoriaforTexas.com. Previous PostPrevious Teachers Groups Endorse Victoria Neave!